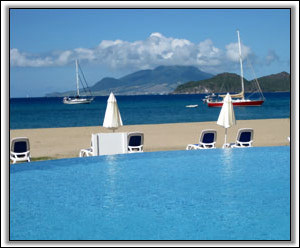 The picturesque paradise of Nevis is the ultimate in island relaxation. 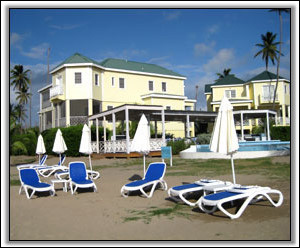 Beach Bliss is located just yards from Pinney’s Beach. 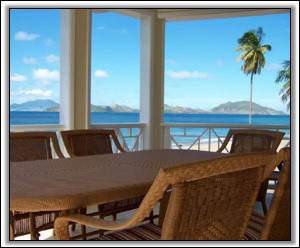 These beach front condominiums command breathtaking views of both Nevis Peak, and Nevis’ “Sister Island”, St. Kitts. Whether you prefer hiking the rain forest or enjoying the beach atmosphere, Nevis is sure to rejuvenate your soul. 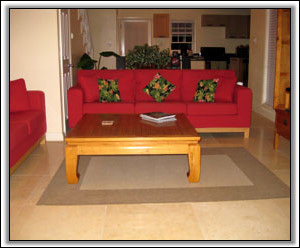 These air conditioned condos keep you comfortable no matter what the temperature is outside. 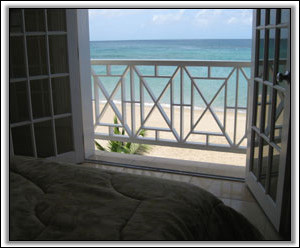 The screened-in porch allows one to enjoy the ocean air and listen to the rhythmic waves coming from the gorgeous Caribbean. The views from the porch are stunning. You can watch the pelicans diving, the fishermen busy at work, or the SeaBridge making its rounds from St. Kitts to the pristine waters at Cades Bay. The recently constructed Condos at Nelson’s Spring are fully equipped upscale accommodations that include marble floors and baths, granite countertops, and stainless steel appliances. The living areas and the bedrooms feature HD televisions. 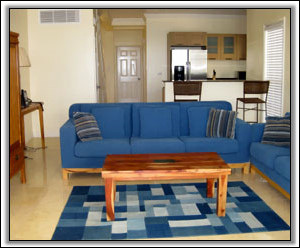 Each unit boasts iPod hookups, CD and DVD players as well as a washer and dryer for your convenience. 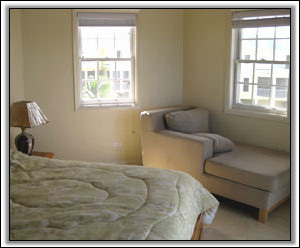 The three bedroom unit has an easily accessed first floor bedroom. All this snuggled in a beautifully landscaped setting. Amenities include a beach front infinity pool as well as a tennis court. There is an onsite fitness center that provides treadmills, stationary bikes, a universal gym and free weights. Spa Nevis, which is also located on the property, is just waiting to pamper you. The neighboring office center is equipped with fax, both scanning and copying abilities, internet access, and a friendly staff to answer all your questions. For those of you who cannot leave business or family and friends behind there is internet access available in the units for your laptop. Once a week housekeeping services are included. There is 24 hour security and baby sitting can be arranged through the office staff. For your convenience there is a deli/restaurant across the street and Coconut Grove Restaurant is located just a few steps down the beach from the condos. 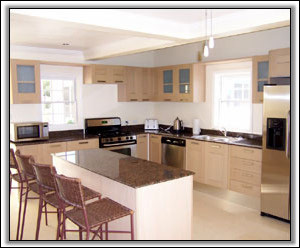 You may take pleasure in the numerous nearby restaurants within walking distance as well. Or you may prefer to experience the island way of life by stopping at the Water Company on Pump Road for their Friday night barbecued chicken and ribs or perusing the many markets located around the island. This is a great location for beach walkers and joggers offering aqua water, sensational sunsets and occasional rainbows. Enjoy all of the activities Nevis has to offer while staying in this truly special locale.